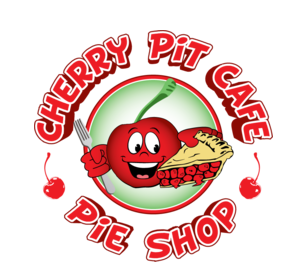 Online ordering menu for Cherry Pit Cafe & Pie Shop. Welcome to the Cherry Pit Cafe & Pie Shop, where we bring together scratch made Classic American Comfort foods, an extensive homemade pie list and a variety of fresh baked treats! Slow Roasted Pot Roast, Chicken Pot Pie, Home-style Meatloaf, hand-pattied Burgers, Sandwiches and Fresh Salads highlight the diverse menu offerings. Homemade pies such as Cherry Crumb, Apple, Brownie Supreme and Lemon Meringue to name just a few, will truly WOW you for dessert. Once you’ve had the fresh baked cookies or any of their other handmade baked goods, you’ll be hooked! Find us near the corner of Pisgah Church Rd and N Elm St, right behind the Bank of America Financial Center. Order online today!